Landfill Fee Waiver – The Rappahannock Regional Solid Waste Management Board (R-Board) is temporarily waiving fees for the disposal of yard debris from residents, effective immediately through April 29, 2019, when delivered to the Regional Landfill at Eskimo Hill. The waiver applies only to the disposal by residents, not commercial firms, and is only in effect at the Eskimo Hill site. Our Belman Road convenience center in unable to process large quantities of yard debris. 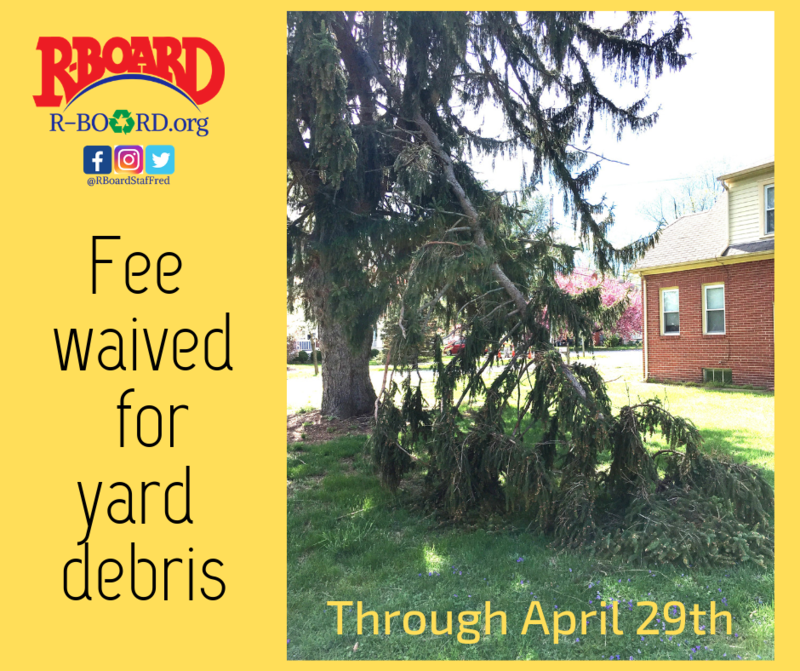 We are temporarily waiving fees for the disposal of yard debris through 4/29/19 @ Eskimo Hill. The waiver applies only to the disposal by residents, not commercial firms, & is only in effect at the Eskimo Hill site. Our Belman Center in unable to process large amounts of debris.